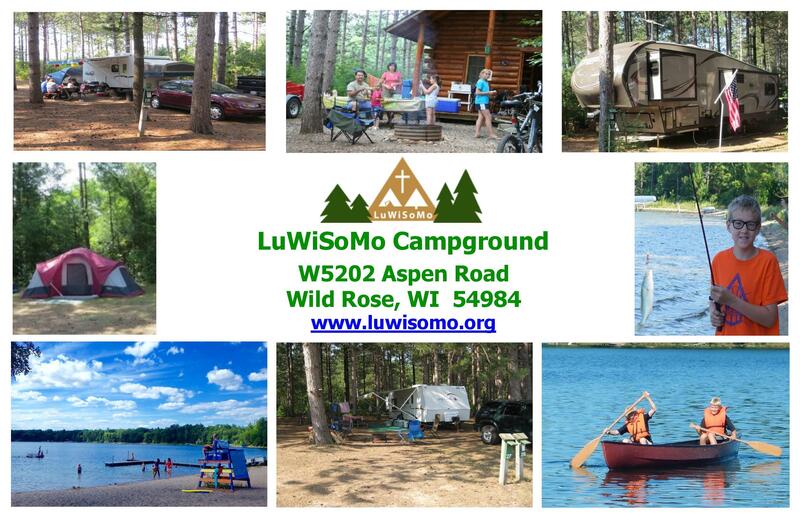 Camp LuWiSoMo Campground is a quiet campground dedicated to providing faith-growing opportunities for people of all ages, in a Christ-centered outdoor ministry setting. Advance reservations required. Reservations for the 2019 season opened for returning 2018 guests on January 2, 2019 and for all others on February 1, 2019. Limited Amenities. Campground Store Closed. A $50 per hour ($50 minimum) charge will be applied for any excessive clean-up required if the campsite or cabin is not left clean, in the same condition as when you arrived. This includes cigarette butts, food scraps, water balloon remnants and trash left at the site. Reservations for the 2020 season open for returning 2019 guests on January 2, 2020 and for all others on February 3, 2020. Family Weekend 2019 guests will be contacted and given the opportunity to reserve the same campsite or cabin for Family Weekend 2020. They will have until November 30, 2019 to complete their rebooking. Full payment is required at the time of rebooking. This is only for those wishing to rebook the same campsite or cabin for Family Weekend 2020. Booking other campsites or cabins for Family Weekend 2020, or other times and dates during the 2020 season, will not be available until 2020 season reservations open – not during Family Weekend 2019. So relax and enjoy Family Weekend! You don’t need to spend extra time that weekend handling your 2020 reservation – you may already have it done, or will have until November 30, 2019 to decide.